Full Screen 'Mink' Lashes. From natural to Va Va Voom, create and define the look of your clients dreams with our Full Screen leading lashes. 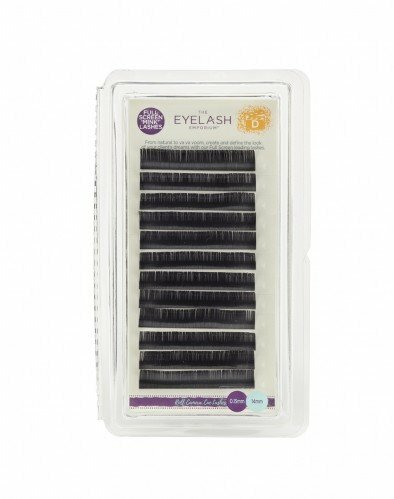 A great lash goes a long way which is why all of ours are made from PBT, the advanced polymer that is super soft light and silky, but deceptively tough, holding its curl. Want Blockbuster semi-permanent lashes? Our dramatic D-Curl lashes are a guaranteed Box Office Hit! This show-stopping curl is a must-have for clients who want to enhance their natural look with a striking effect.